There are plastic free options! And, if you're like me, it won't let you sweep the entire hallway before realizing your vacuum bag needs emptying and you've been shooting debris behind you instead of sucking them up. Love this. Thanks for sharing! 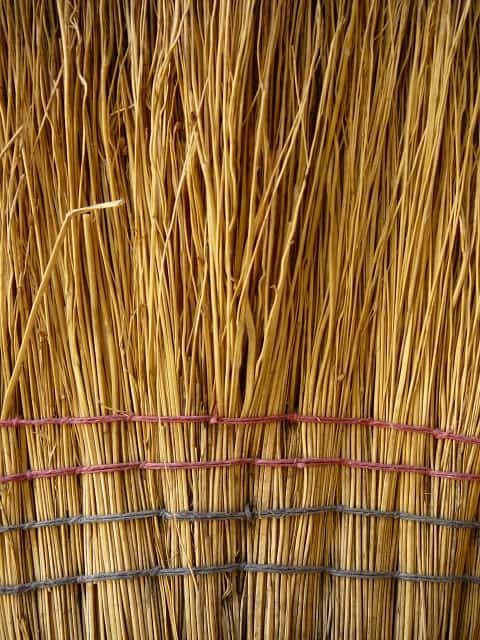 You can also make your own brooms fairly easily. I used to grow the broom corn and make a few brooms as a demo for a local festival. It takes a bit of hand strength, which I no longer have. One of the Foxfire books had information on making brooms and there are classes offered once and a while. My great-grandfather owned a broom factory in Illinois back in around 1910. Broomcorn is no longer grown much in this country and most brooms are now made in Mexico. There are a few artisans around and about. That's so cool. That's definitely going on my to do list.